CloudOn – yes, the company known best for bringing Microsoft Office to the iPad – has just closed a $16 million Series B round led by The Social+Capital Partnership with participation from Translink Capital as well as existing investors Foundation Capital and Rembrandt Venture Partners. Mamoon Hamid, General Partner at Social+Capital, will now join CloudOn’s Board of Directors as a part of the funding. The raise speaks to the demand for traditional productivity software on the iPad, but also hints at bigger plans for the startup, which has a vision that re-imagines how productivity should work in the new mobile age. 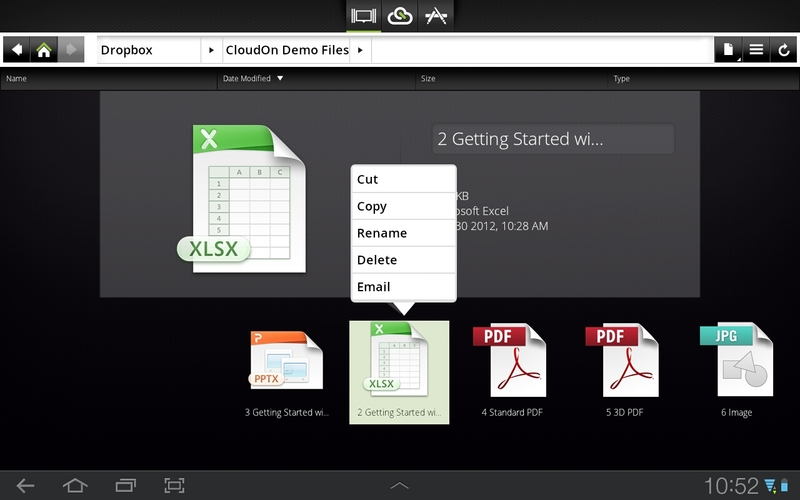 The app, for those unfamiliar, lets users view, edit, save and share their files, as well as access files from cloud storage services like Dropbox, Box and Google Drive. In Office, editing even includes things like tracking changes in Word, manipulating pivot tables in Excel and viewing PowerPoint slideshows in full presentation mode – features you wouldn’t necessarily expect in an unofficial solution. Although new, CloudOn is already fairly popular. It passed a million downloads of its app five months after its January 2012 debut, and has since spent time at the top of several charts in Apple’s App Store. After launch, it became the number one free app and the number one Productivity app for iPad, and has remained in the top ten Productivity apps to this day. The company also rolled out versions to 19 countries worldwide on both iPad and, more recently, Android tablets, and reached #1 free app status and #1 Productivity app in 18 of those countries at various points. With the additional capital, one of CloudOn’s goals is to continue global expansion to more regions outside North America and Europe as well as launch versions of its service for smartphones by the second half of this year. According to CEO Milind Gadekar, the company has seen a lot of interest from South America, and has specific plans to hit Brazil, Japan and Singapore next. By Q3, the goal is to be available worldwide, he says. 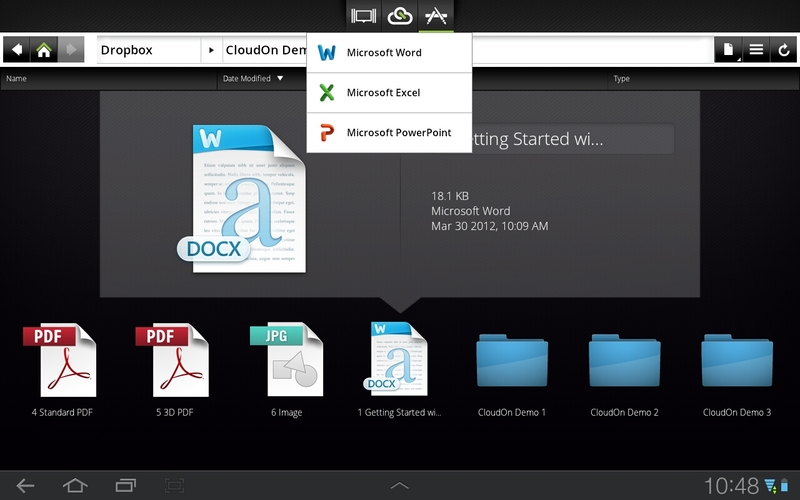 While the biggest draw for CloudOn users is surely access to Microsoft Office on the iPad, the company has notably partnered with other productivity players, including Adobe, Dropbox, Box and Google, in an effort to beef up the service beyond being simply a “Microsoft Office on the iPad” app. After all, if Microsoft ever gets around to launching Office on iPad, CloudOn could be in trouble if that was its only game. Gadekar knows this, too. “The future for us is about redefining productivity. We are much more than giving you Office on the iPad,” he says. “We clearly believe Microsoft will launch their own version of Office on the iPad. Our view is that there is a need to be able to change the experience, so that one can interact with not just the files, but the information within the files.” In the short-term, what that means is group collaboration. CloudOn is now building additional functionality on top of Office that will enable things like annotation and group conversations. “In the near future, we will enable group productivity so that multiple people will be working on the same document, can share information, and can track conversations around information. This ends up being a richer workspace experience,” explains Gadekar. And yes, he means cross-platform – Google, Microsoft, etc. “Traditionally, we’ve seen three silos being created – the Microsoft silo, the Apple silo and the Google silo – where they are integrating from app to device to cloud storage, without any interest of inter-operating with other silos. We think, ‘let the end user pick’,” he says. Incidentally, Gadekar notes there hasn’t been much customer demand for Apple iCloud or iWork integration, which is interesting given that 90%+ of the customer base is on the iPad. That may have to do with the type of customer CloudOn currently sees: students, SMBs, government, and individuals who have adopted CloudOn behind I.T.’s back in the enterprise. Oh, and for those of you who are curious – yes, CloudOn is legal. It has licensed the Microsoft technology through the proper channels, and is in compliance with the respective licensing agreements. But licensing takes money, which is why Gadekar says monetization will begin later this year, with the introduction of the group collaboration features. The Palo Alto and Israel-based company is now a team of nearly 30, and still looking to hire, but has no plans to relocate anytime soon. The app is currently a free download from here.